PORTLAND, Ore. (CN) — Union Pacific Railroad says local land rules don’t apply to its expansion project in the Columbia River Gorge, the site of a fiery train derailment last year, and sued commissioners who are trying to block it. Union Pacific sued Wasco County commissioners and the Columbia River Gorge Commission’s leaders on Tuesday, in Federal Court. The Columbia Gorge is an area of stunning beauty that draws 2 million tourists a year, according to the National Park Service. In a decision praised by environmentalists last year, Wasco County commissioners rejected the railroad’s plan to expand its tracks, after a fiery train derailment in June that spilled oil into the Columbia River. The seat of Wasco County, just east of the Cascade Mountains, is The Dalles, 85 miles east of Portland. The county’s northern border is the Columbia River. The 14-car derailment last year was in the small town of Mosier. The Wasco County Board of Commissioners unanimously agreed to deny the proposed project, reversing its Planning Commission’s decision. Among other things, the commissioners noted the potential effects the project would have on treaties. The Yakama Nation had argued that the project’s increased train traffic and risks of more oil spills along the Columbia would violate tribal fishing rights and treaty agreements. In its new lawsuit, Union Pacific says the county ordinance is preempted by federal law, and affects interstate commerce. The railroad says it already has spent around $5.3 million on the $42 million project, which will require, among other things, two new bridges to support the second track. It says the goal is to prevent idling trains on an important route. Union Pacific says the Army Corps of Engineers has concluded that construction would not interfere with native fishing rights, and Wasco County’s denial of the permit is not necessary to protect them. The 17-page lawsuit makes no mention of last year’s derailment, which necessitated closure of 27 miles of Interstate 84. Wasco County Board of Commissioners Chairman Rod Runyon declined to comment on the lawsuit, but said he was confident that the board had properly applied the ordinance. 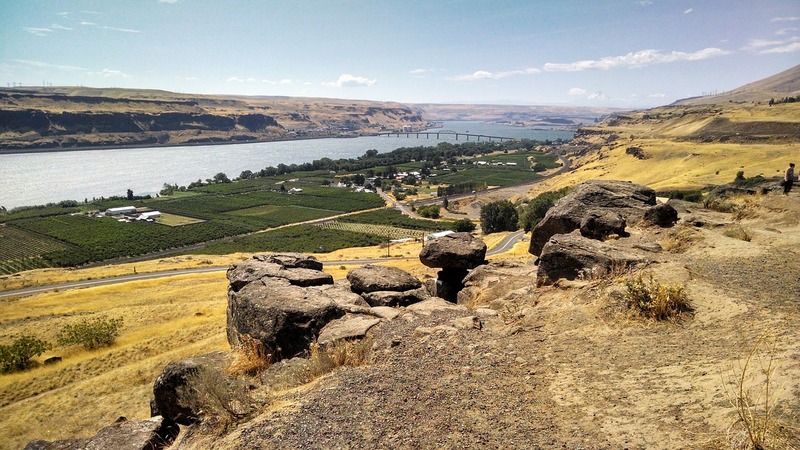 A spokesperson for the Columbia River Gorge Commission declined comment. Union Pacific seeks declaratory judgment that Wasco County’s ordinance violates the Constitution’s Commerce Clause and the authority of the Surface Transportation Board, and an injunction against its enforcement. It is represented by Brian Talcott with Dunn Carney Allen Higgins & Tongue, in Portland.